This city girl who comes from a family of activists and forward thinkers has not let her birth disorder define her life. Nineteen-year-old Nisha Lobo is accustomed to drawing instant attention. Why is that? 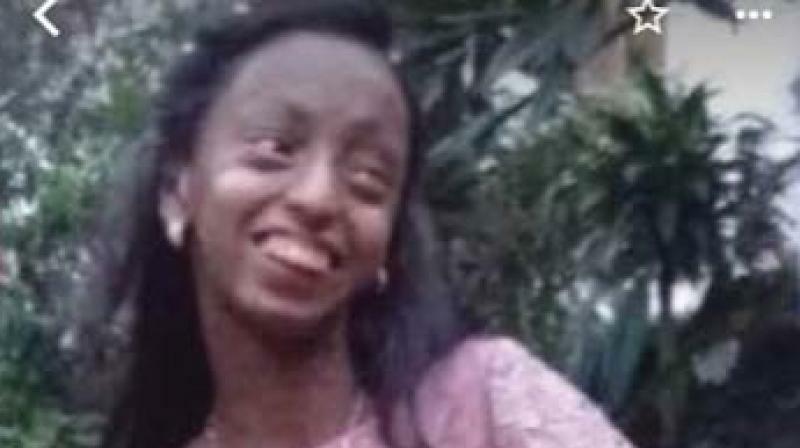 Her mother Aloma Lobo reveals, “Nisha has a rare genetic condition called Lamellar Ichthyosis. It is an autosomal recessive disorder which is very apparent at birth and continues throughout life. It is characterised by scaly skin which is constantly being shed and causes significant disfigurement of the person. Nisha is also visually impaired with just about 15 per cent vision in one eye. She had no eyelids at birth but had oculoplastic surgery when she was four years old in London.” But that is not the reason why she is being talked about. Recently, this brave young girl made an impact with her impressive speech at a TEDx Talk with her confident narrative. “It is a condition that requires constant and continuous medical management which has become routine and an everyday part of my life. It is a condition which affects one in 600 to 1,000 people, which is why I have visual impairment, which means I only see just about 15 per cent with one eye. I live to think I see a lot,” she says with a smile. Two years ago, Nisha had made an impact in the deeply moving Vicks ad where her story was recreated visually. The TedX organisers had seen that ad and decided to contact Nisha’s mum, Aloma Lobo. She is a happy young girl with dreams to teach. “Maybe history or English, I don’t know yet. I am currently taking a gap year off after I finished school last year, and I plan to apply to colleges soon. I am interning as a copywriter with a digital marketing company right now,” says the girl who advocates the philosophy of being responsible for your own happiness in her TEDx Talk. “Happiness is not around you, it’s inside you, if I had beauty or popularity would I have been happier, I was happy being born and even after my skin condition, I continue to be happy for my amazing relationships, I have no resentment towards the fact I have a skin condition, I am the only person who can affect my happiness, I see myself as a young woman on the threshold of life, I cherish gifts given to me and contribute to society,”she says.